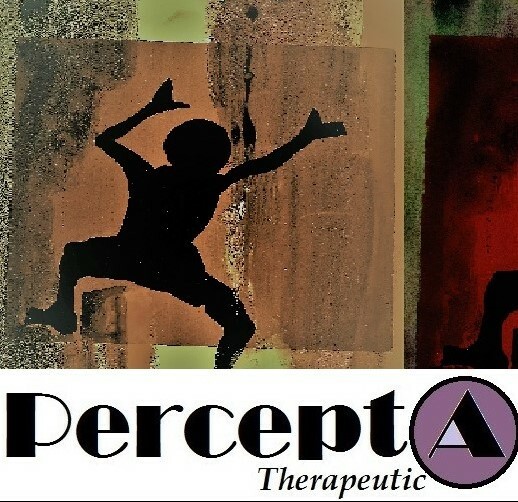 Promoting mental health through clinical psychotherapy and counseling, creative art therapy and art open studios, education and training, clinical supervision, and consultation. The Bleak Side of Christmas: Coping with Stress & Depression -by Dr. Chioma Anah. Christmas is the happiest and most “wonderful” time of the year, so we are told. We are even bombarded with reminders of just how joyful this season is, with countless commercials filled with gift giving, happy faces, and the “perfect” family holiday scene. If you don’t feel the joy of the season, you are not alone. Some people experience stress and depression throughout the year, but Christmas is a time of year that is especially difficult for many. Some of the triggers reported have included; financial stress, inability to fulfill the unrealistic ideals and expectations of Christmas, social isolation, and grieving for a loved one. In fact, the sparseness of the language and imagery of the first stanza from the above poem by Christina Rossetti (1872), sums up the bleakness and depression many feel during Christmas. With Christmas only a few days away, stop for a minute and take a deep breath. You can get through the Christmas season. Here are 8 tips to help minimize stress and depression. 1. Exercise. I’m sure you’ve heard this many times, exercising is a great way to relieve stress and control depressive symptoms. Exercising doesn’t only have to occur in a gym, you can incorporate physical activity when ever you can; going for a walk, parking your car further away from the shopping center, and riding your stationary bike at home. There are also other forms of exercise like, Yoga and swimming that are also beneficial. The benefits of exercise are enormous, as it lifts your mood and reduces your stress, while burning off calories. 2. Adopt healthy habits. Pay attention to your eating habits, alcohol intake, sleeping patterns, and hygiene. Often times, poor eating, irregular sleeping patterns and poor hygiene are symptoms of depression. Christmas season lends itself to overindulgences and excesses in eating and drinking, which can add to depression and stress later. Adopting healthy habits during Christmas time can help maintain emotional homeostasis. 3. Help others. There is no better way to stave off the holiday blues than to volunteer and help some one else. You can go as big as volunteering at a homeless shelter or as small as helping your neighbor with small chores around the house. Trust me, it will comfort you and make you feel so much better. Better still, it will make you appreciate and be grateful for what you have, rather than what do you don’t. 4. Connect with others. If you are lonely and socially isolated, reach out and connect with family, friends, and people you trust. The internet has made it easy for us to connect with others. Reach out for support and send out a Christmas wish to everyone. 5. Be creative. Never underestimate the healing power of the creative arts. Creativity has been known to relieve stress and reduce depressive symptoms. You don’t have to be an artist or have artistic skills to do something creative, these days there are so many tools to use, such as adult coloring books, and some cool art apps. Flex your creative muscle, and relieve some stress! 6. Speak to a therapist. Depression is higher during the holiday season and should be taken very seriously. So many people are reluctant to seek counseling and tend to neglect their mental health, due, in part, by some of the stigma associated with mental illness. Your mental health is just as important as your physical health, and must not be taken lightly. Remember, seeking counseling and help is a sign of courage, not weakness. A therapist can help you process your feelings of sadness, particularly if you have recently lost a loved one or you are missing someone who was prominent in your life during the holiday season. * You can find a therapist in your area here. 7. Always have a spending budget and stick to it. Don’t go over your budget nor give in to the pressures of excessive gift giving. Lack of money is a great source of stress, so be creative and personalize your gifts. Your recipients will be very happy because it comes from you, from love. Again, doing something creative will help reduce your stress. Delegate tasks if you need to and ask for help from family members. You don’t have to go to all the parties you are invited to, you are allowed to plan your time and be selective, in order to conserve some of your already limited energy supply. During this hectic season, carve out some time just for yourself to relax. Do not get caught up in unrealistic expectations of living up to a “perfect” Christmas. Do what you can, and remember that self-care is important for your well-being and peace of mind, especially during the holidays. Dr. Chioma Anah is the Founder and CEO of PerceptA Therapeutic & Training Center, LLC, Maryland. She holds a Doctorate of Education (EdD) in Counseling Psychology, is a NCC & LCPC- Maryland, and has over 15 years experience in the field of counseling working with adults and adolescents. Dr. Anah is also an Approved Clinical Supervisor (ACS), a Board Approved Clinical Supervisor in the State of Maryland, and a credentialed Art Therapist. Her research interests and topics include supervision, racial & social justice, the psychology of racism, racial microaggressions and multicultural issues in counseling. "Every human being possesses a reserve of strength whose extent is unknown to him, be it large, small, or nonexistent, and only through extreme adversity can we evaluate it. "- Primo Levi, The Drowned and the Saved, (1988, p.60).